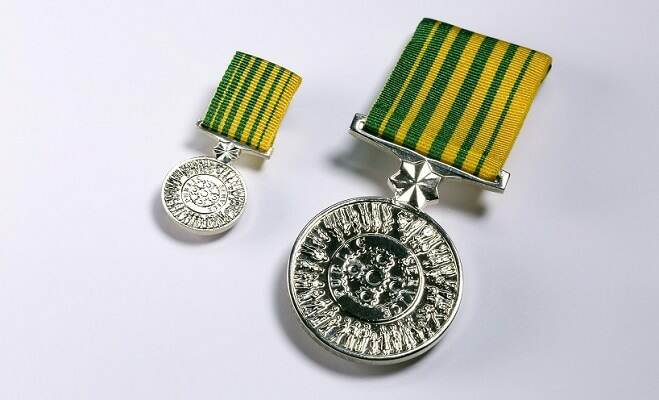 The PSM medal is part of the official Australian system of honours and awards. It acknowledges public sector employees who demonstrate excellence, leadership and innovation. Up to 100 medals are awarded each year, including up to 17 to nominees from Victoria. Recipients can use the post-nominal initials PSM after their names. Recipients attend an official ceremony at Government House where they receive their medal. The PSM is open to all levels of the public service - it's not just reserved for senior officers or long-serving officers. Nominees don't have to be Australian citizens. However, if the nominated person is not an Australian citizen, the Governor- General’s office seeks the agreement of the government of the country of citizenship. The nomination should clearly indicate if the nominee is not an Australian citizen. The PSM can be awarded to former public servants if the nomination is lodged within 12 months of their completion of service. Public servants who have ‘retired’ from a full-time position but are engaged to undertake specific tasks for government are eligible. Members of boards are also eligible. inspire others to keep striving for better outcomes for the Victorian community. All nominations must be endorsed by the nominee's Departmental Secretary or Chief Executive Officer (for nominations from government authorities and agencies). Download the nomination form below. Fill in all sections of the form, including the nominee's full name, position details and home address. Obtain at least 3 referee statements. Request a deputy secretary or CEO's endorsement. The nomination statement must contain comprehensive information on the services or achievement for which the nomination is being made. A list of positions held over a number of years is not good enough. The nomination will be considered alongside other nominations, the Public Sector Medal Committee needs a clear description of what the nominee has done to fulfil the criteria of outstanding service. Don't assumed that the Committee has a detailed knowledge of the area in which the nominee has worked, or has a full understanding of the significance of certain achievements. These services should be put into context in the nomination statement. All nominations must be accompanied by at least 3 referee statements. (There's no limit on the number of referee statements.) These should comment on the services of the nominee. It may be appropriate to obtain referee statements from outside the public sector. For example, if the nominee is being nominated for outstanding services to a particular community or industry. If the nominee’s services relate to the work of another agency, a referee statement from that agency may also help the Committee in its consideration of the nomination. There is no limit on the number of referee statements provided, although three to four would normally be sufficient. You need to include a letter of endorsement from the relevant deputy secretary or chief executive officer. We can help you with contact details for departmental secretaries and CEOs. Attach the necessary documents, including your nomination statement, at least 3 signed referee statements and the signed deputy secretary or CEO's endorsement. Make sure the form is signed by you and the relevant deputy secretary or CEO. All information provided is treated as confidential. If the nomination is successful, nominees be asked for permission to publish their address details. All nominations must be received by the PSM Committee Secretariat by close of business on the closing date. Nominations received after this time won't be considered. The Victorian Public Sector Medal Committee meets twice a year to review nominations. They recommend a shortlist of proposed recipients to the Premier or responsible minister, who then makes a recommendation to the Governor-General. The Honours Secretariat of Government House contacts the proposed recipients, who may decline the award. The awards are announced in the Commonwealth Gazette. Sometime after this announcement, recipients are notified by Government House of the arrangements for the awards ceremony. Visit the It's an Honour website, an initiative of the Australian Government's Department of Prime Minister and Cabinet. Use the filter section on the Australian Honours Search Facility to search all past recipients. Choose 'Public Service Medal' in the Award Name list to see all.